This is Agent 355 from the comicbook series Y: The Last Man by writer Brian K. Vaughan and co-creator/artist Pia Guerra. I’ve been reading this funny and twisted dystopian science fiction about a world where all the men died except for one guy and his pet monkey, and I’m just amazed by the depth of the characters. Agent 355 is one of my favorites. 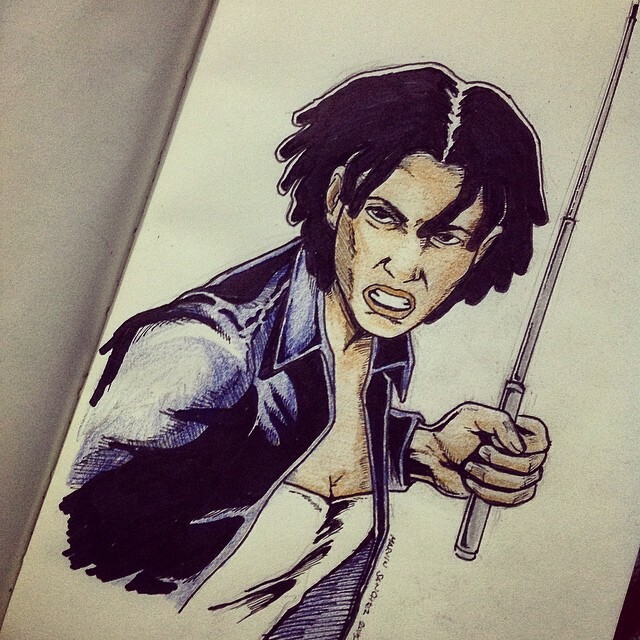 She’s a government secret agent tasked to protect, Yorick Brown, the last man on Earth. Like most of my works, this one’s done in ink and colored pencils! I usually shift between traditional paper and digital iPad drawings when I work. Basically, when I have the time, I whip out my illustration notebook; when I don’t, I just get my iPad and start scribbling something using my index finger. This one’s an example of the latter. 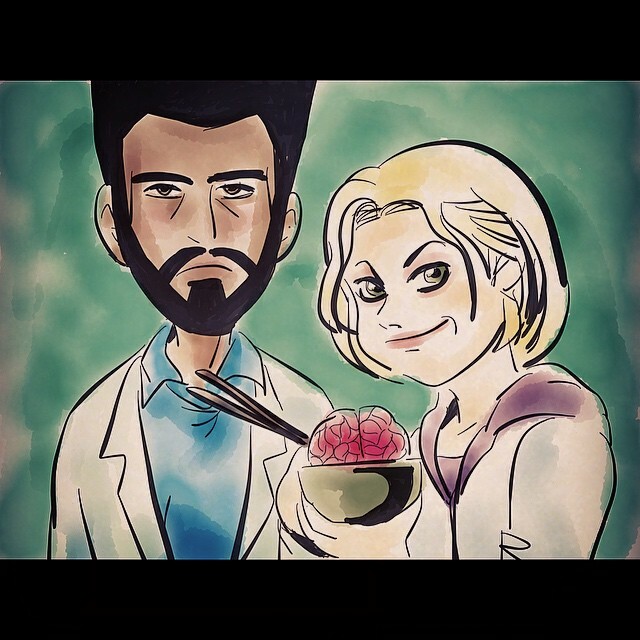 iZombie on The CW is one of the most underrated shows on TV. First season just wrapped up and it was awesome! The story is about Liv Moore, a doctor turned zombie/coroner assistant in a morgue, who now has to deal with her new life as the world is slowly overrun by zombies. The show is extremely funny and it’s easy to get hooked on the witty chatter of the characters. Above, I drew Liv and his boss at the morgue, Ravi. Even without the S, everyone can tell who this one is. 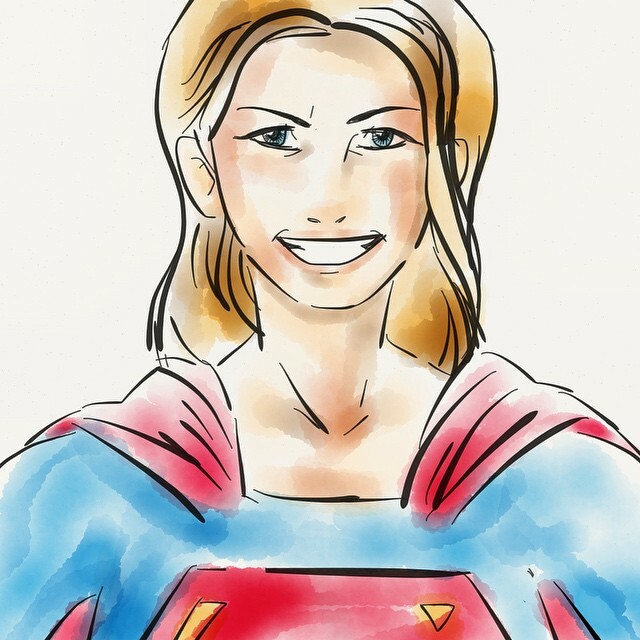 The Supergirl TV series pilot leaked a few weeks ago, and I’m really sorry (or not) to admit that I was one of the many who downloaded a copy. And while some people are already criticizing the episode for being too “girly,” I thought it was great! I mean, it’s Supergirl after all and its target audience is understandably skewed toward the female demographic. I don’t even usually call out people for being sexist but I think that’s a glaring example of such an attitude. We never complain about other superhero shows for being “too manly,” so why are some folks suddenly whining that this show is “too girly?” Sounds like double standard to me. Anyway, Supergirl has always been one of the strongest characters in comics (both physically and emotionally), and I do hope the new CBS series ends up inspiring a lot of girls–and women. And of course, how can this one not be a part of a girl power post? 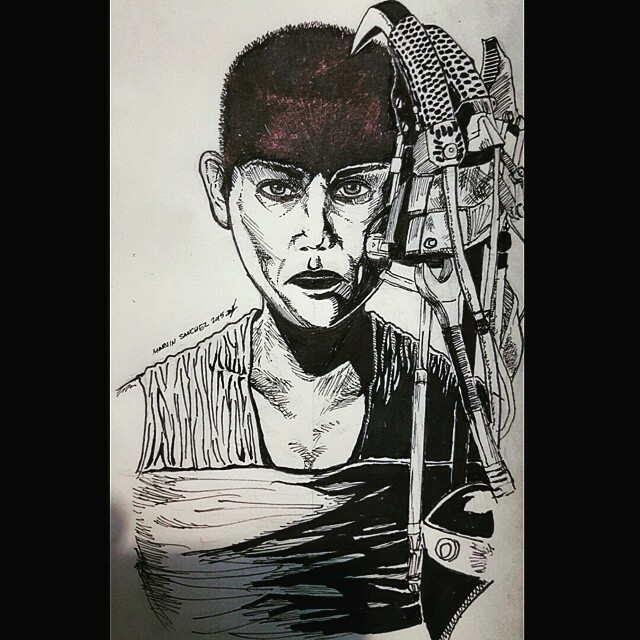 Imperator Furiosa from Mad Max: Fury Road played by Charlize Theron. 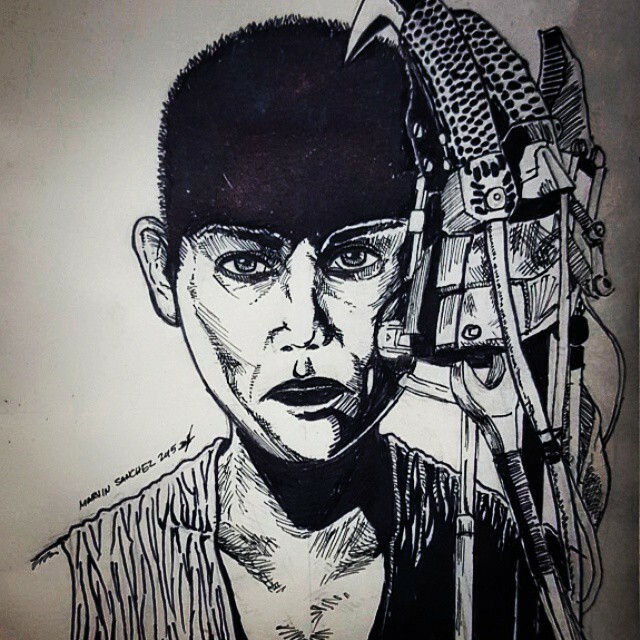 I follow a lot of comicbook artists on social media, and I tell you, 90% of them produced some kind of Furiosa fan art after watching that spectacular movie. That’s how kickass and inspiring the character turned out to be. I can understand why some “pro-men” groups raised their eyebrows at the film ’cause they thought it was unabashedly feminist, but personally I thought it was very cool. Furiosa is definitely one of the strongest female characters genre Hollywood has ever produced; I certainly want to see more of her in future Mad Max sequels. Got some artwork featuring women to share? Comment or share them with me, and I’ll be happy to feature them! I especially like how you’ve used coloured pencil with ink, it’s really effective – making me want to experiment!